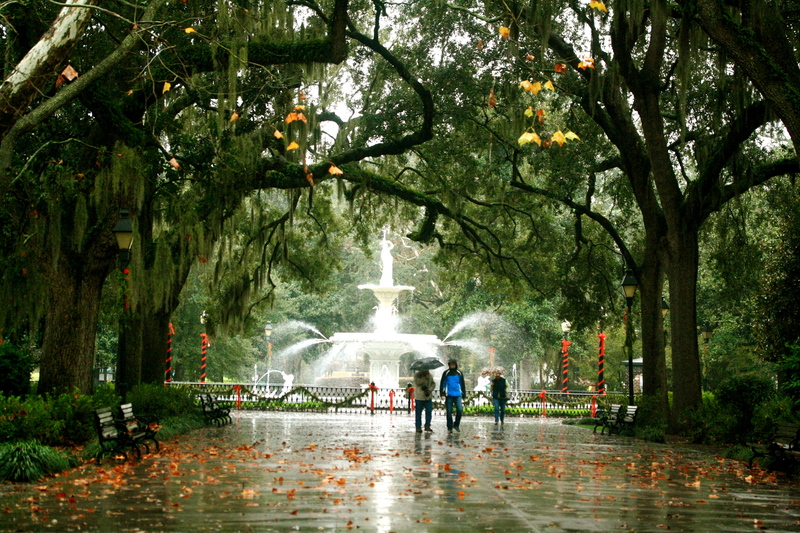 Although it rained the whole time, Savannah is a beautiful city. We ate out at two restaurants that were recommended by the guide book, but my food was mediocre (though I give the ambiance of both an A+). I probably didn’t enjoy them very much because I was trying to order “healthy” things, not exactly a specialty of the south. While my tomato gazpacho and scallops with spinach were decent, my dad’s orders of various fried things were quite delicious, as were the copious amounts of biscuits that were served with every meal. I guess I should follow the “when in Rome” mindset and order something buttery and crispy rather than stubbornly clinging on to my northern ways. Once we reached my mamaw’s house in Mississippi, we had all the familiar fare that she prepares every year for the holidays. It is so interesting to me to see the differences in the food culture on either side of my family and on either side of the US. While my mother’s mother is all about the Mediterranean diet (logical, given that she lives in Sicily), my father’s mother makes traditional Southern comfort food like homemade biscuits, grits, tomato gravy, and of course, the absolute best cornbread. 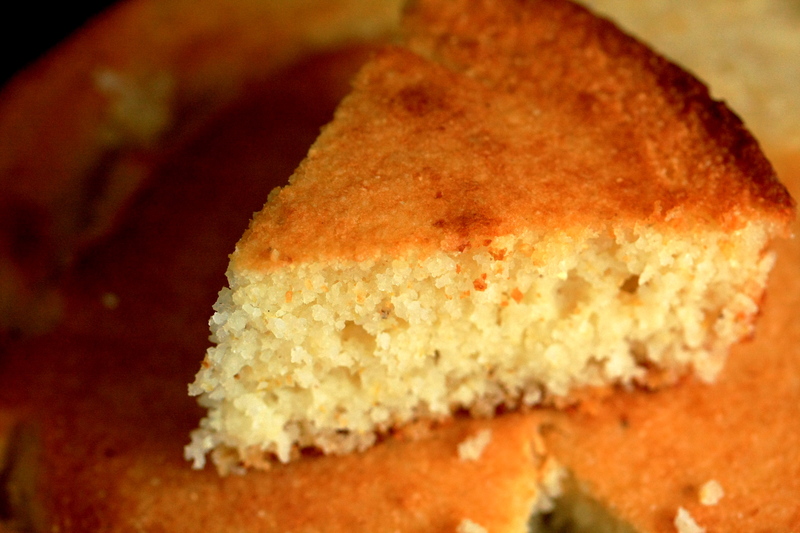 Today I am going to share with you my mamaw’s cornbread recipe, which she always makes when we visit and which goes perfectly with black-eyed peas or any vegetable soup. 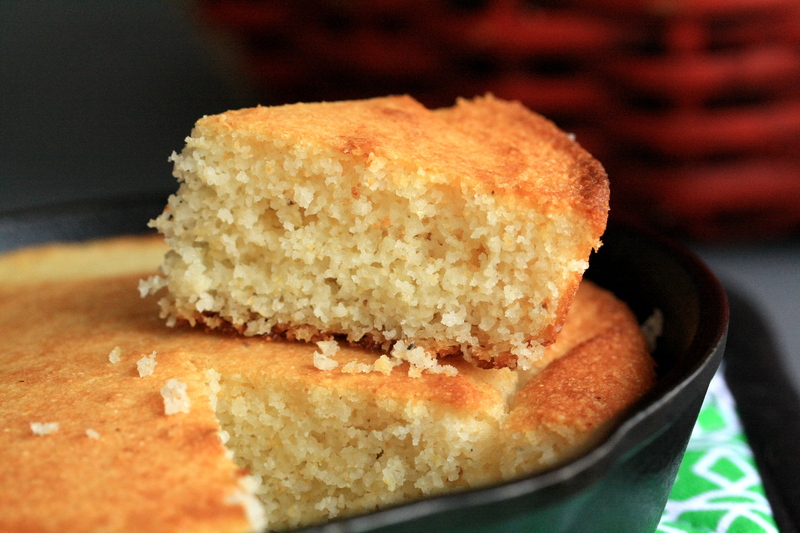 This is not a sweet cornbread like the ones you can find up here in the north. Those are terrible in my opinion. 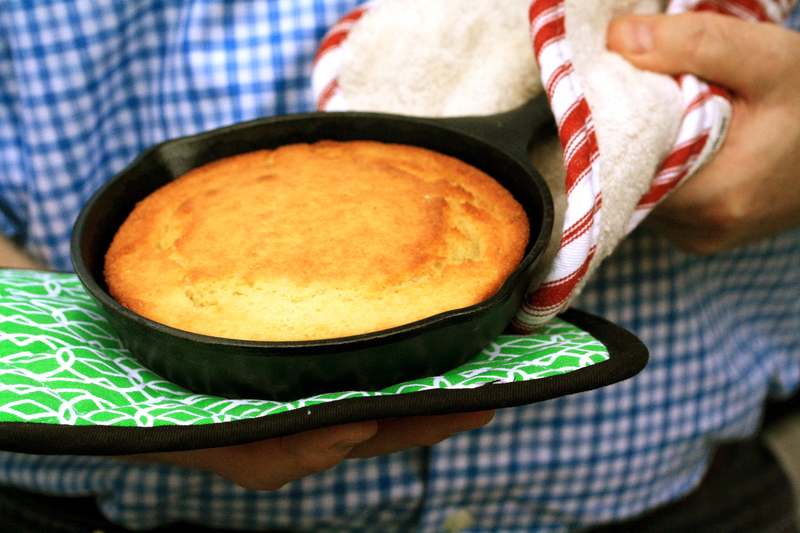 Rather, this cornbread has a crisp deeply browned crust surrounding a soft, corny crumb and is really best eaten hot from the cast-iron skillet. 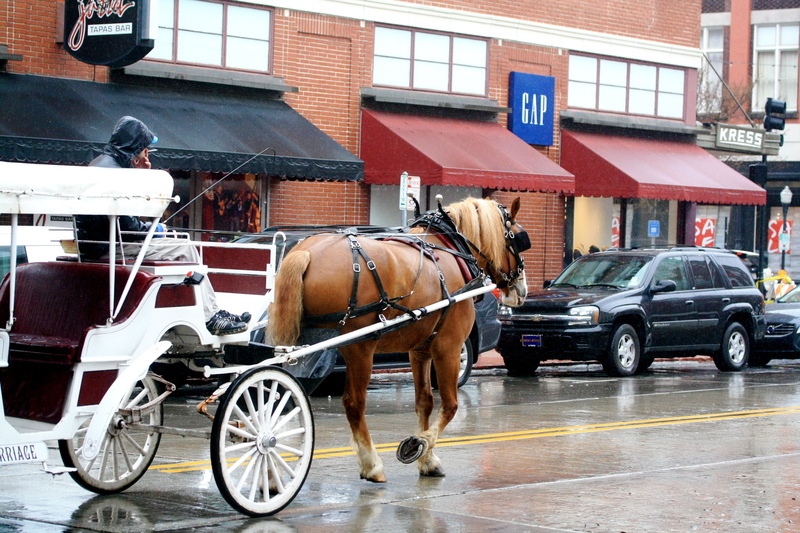 The cast-iron skillet is not optional. I suggest crumbling a piece of cornbread into your bowl before pouring the soup on top, so that it soaks up all the flavors. My dad likes to eat the leftover cornbread for breakfast the next day in a tall glass with any remaining buttermilk you have. Melt a mixture of a few tablespoons of butter and vegetable oil in a large cast-iron skillet on the stovetop and swirl it around to coat the whole skillet. Preheat the oven to 425 degrees F. Mix together the cornmeal mix and the eggs in a large bowl, then add enough buttermilk to make the mixture pourable, but not too thin. Pour the mixture into the hot skillet and put the skillet in the oven and bake for 25 minutes. Serves 6-8 people.